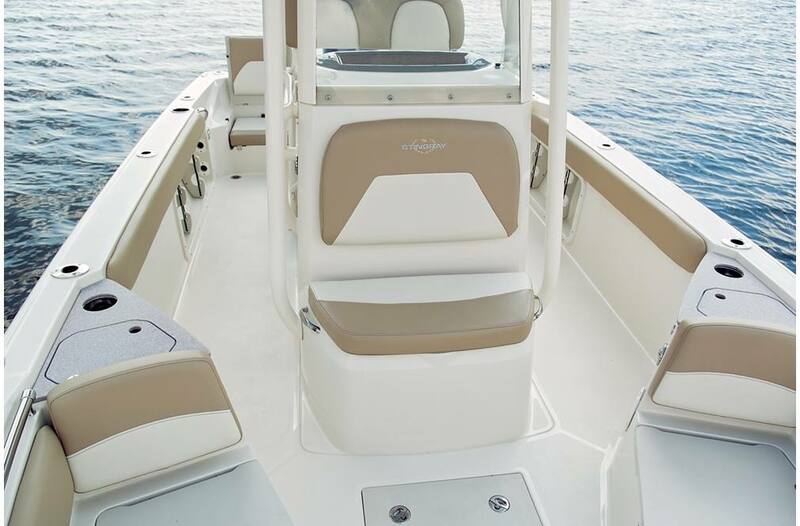 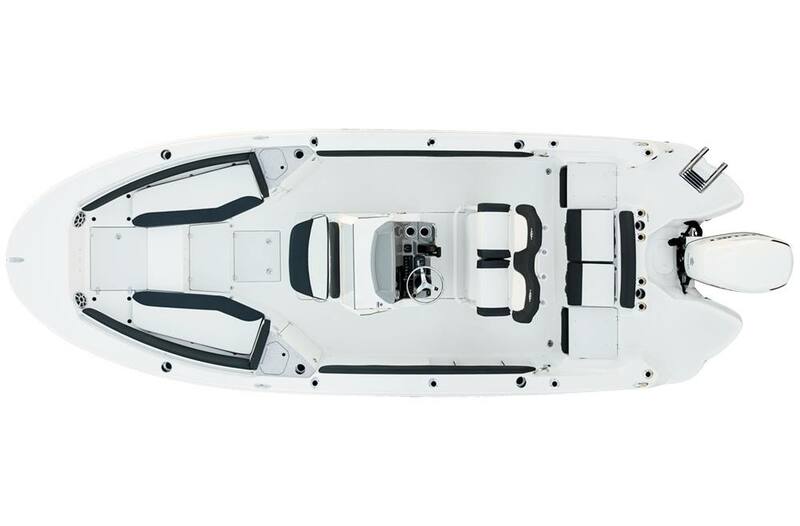 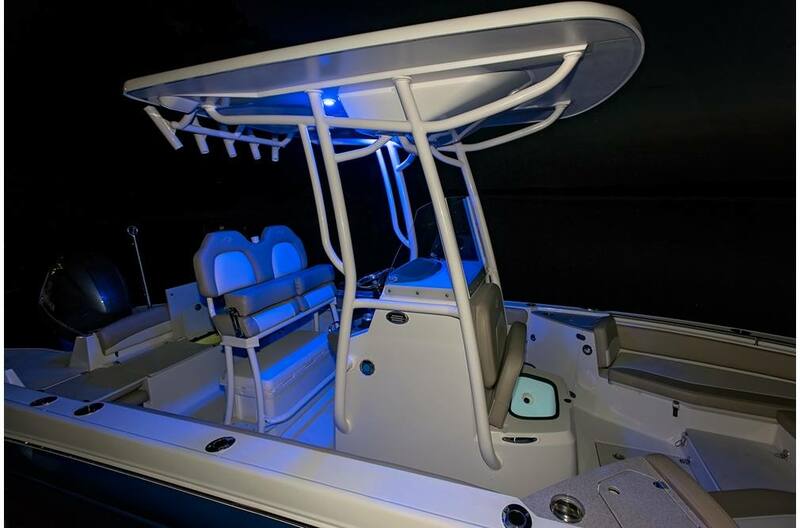 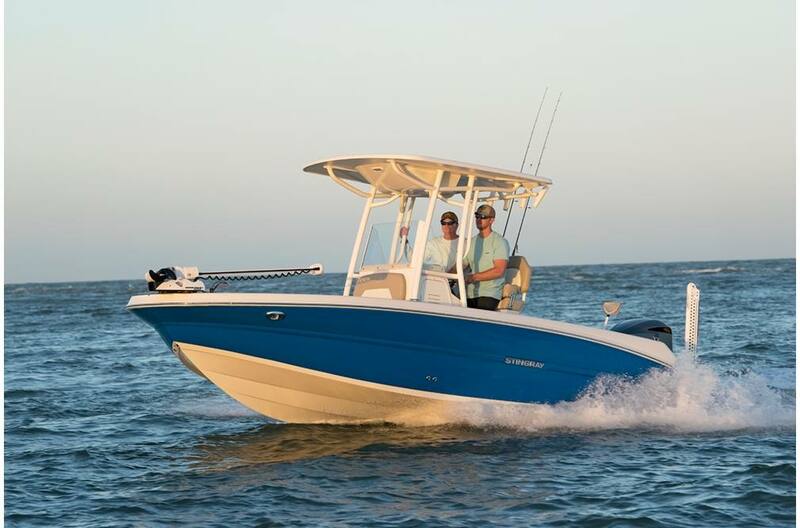 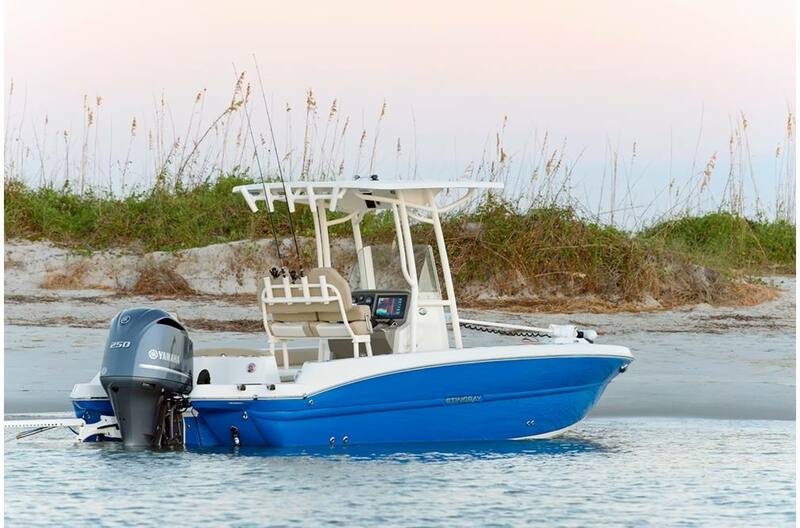 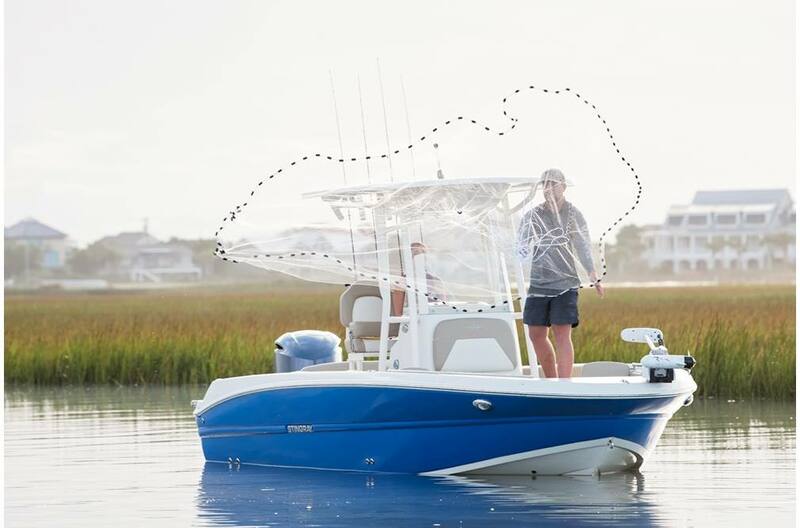 Fishing rods and accessories are easily accessible thanks to abundant rod storage around the boat, including molded-in gunnel storage port and starboard, built-in holders on the leaning post, holders at the stern, and holders built into the optional T-top. 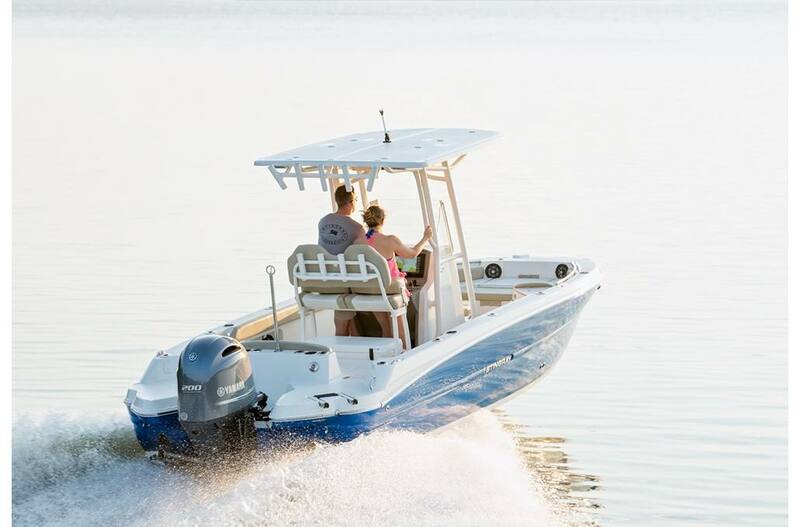 For a day out with family and friends, the 236CC offers lots of space for maneuvering about, plus seating for up to 12 passengers. 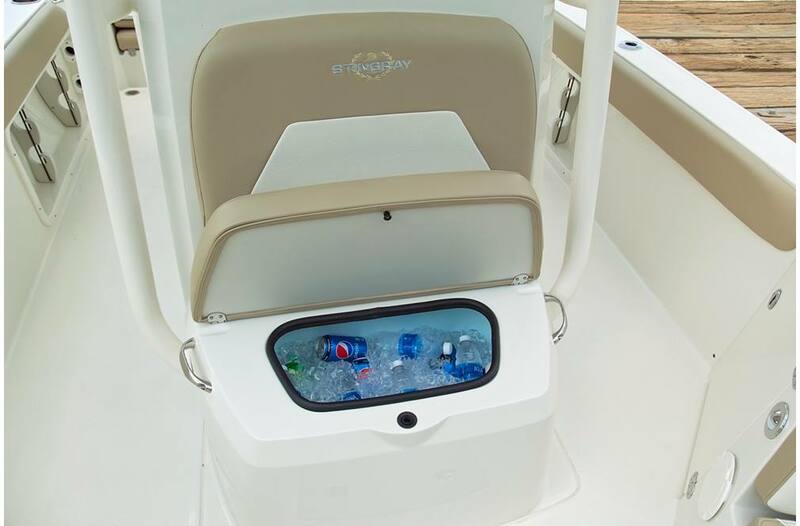 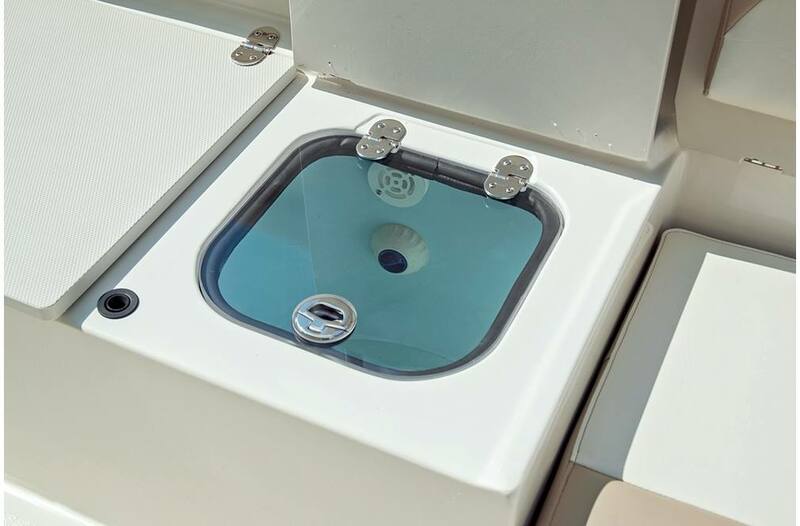 To ensure that the deck area is uncluttered, STINGRAY designers effectively made use of all the space on board to incorporate lots of storage areas. 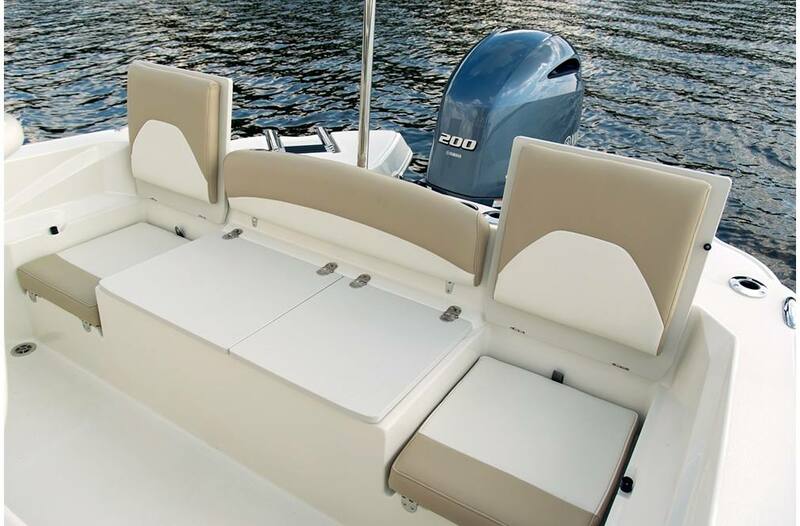 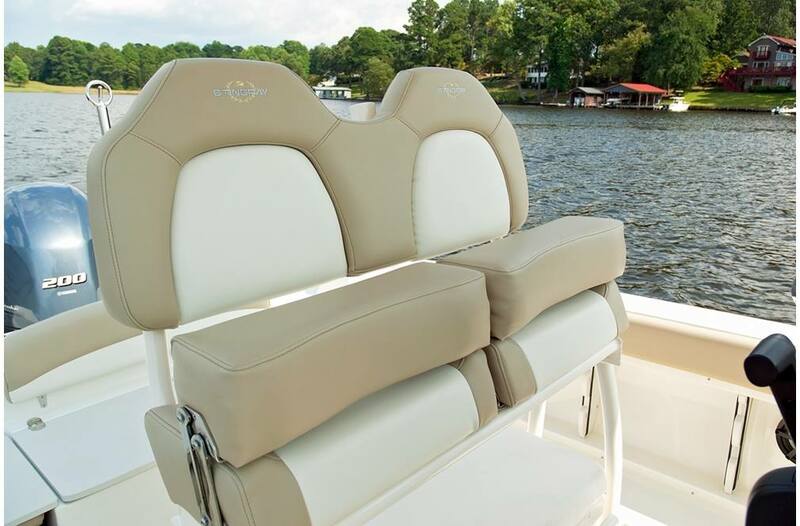 The two rear flip-down seats make it easy for passengers to enter and exit from either port or starboard. 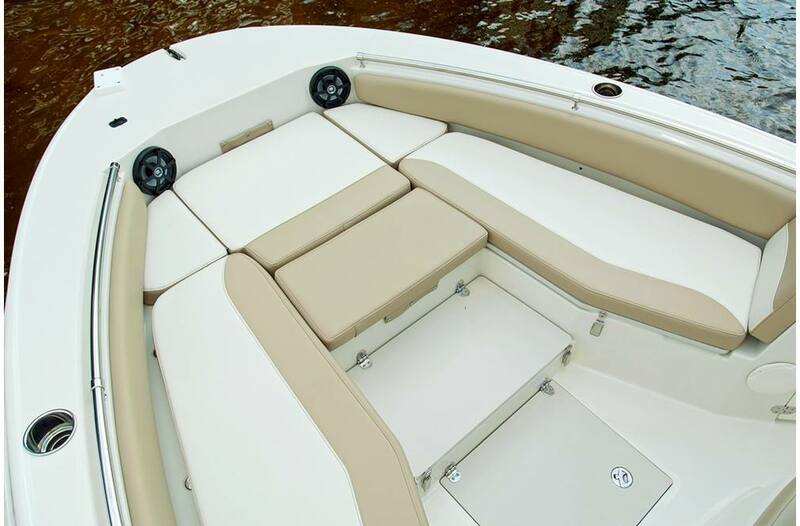 The bow is large and roomy and can be fully outfitted with cushions for kids, or the family dog. 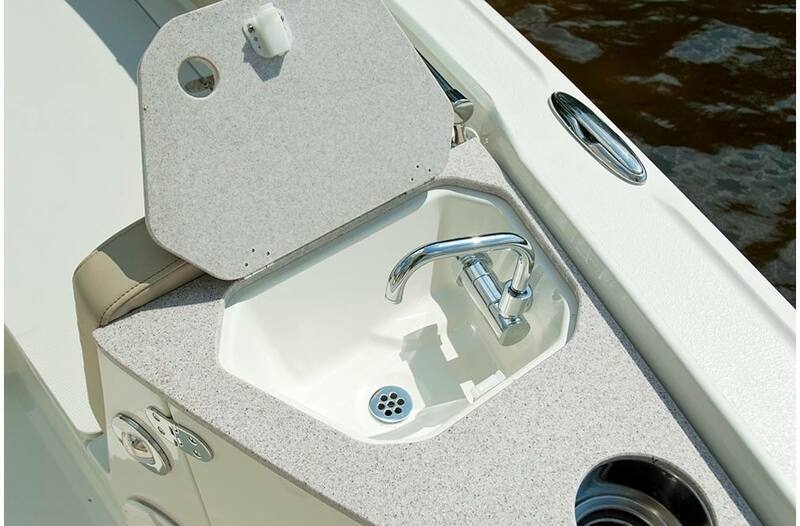 Beneath the helm is a large area that can be used as a changing compartment and also upgraded to a head compartment with the addition of the optional porta potti.